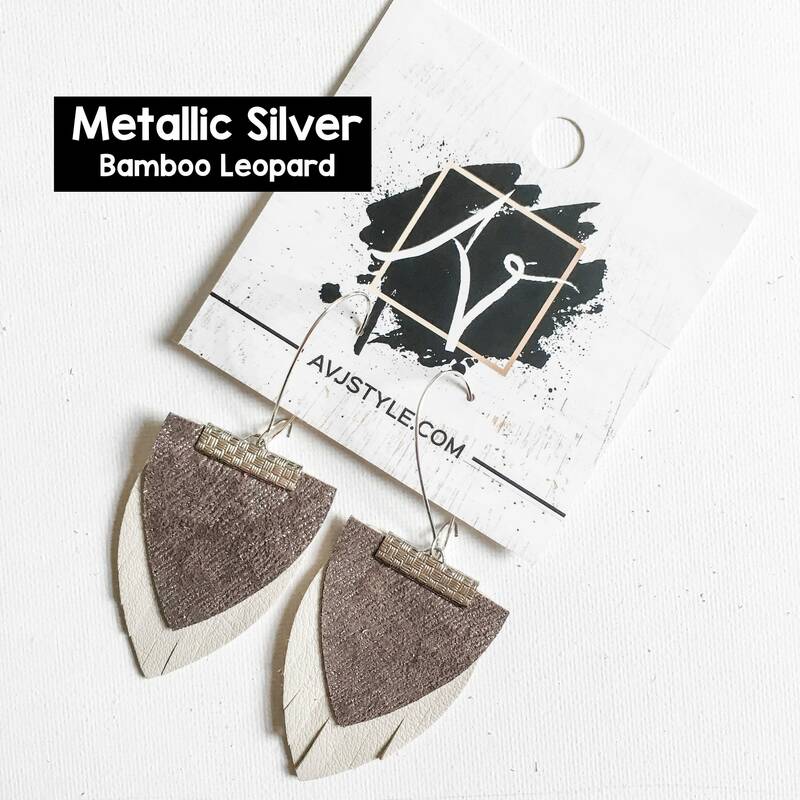 Perfectly comfortable, and extremely versatile, our Newport Beach Collection earrings will help you feel put together in any outfit. 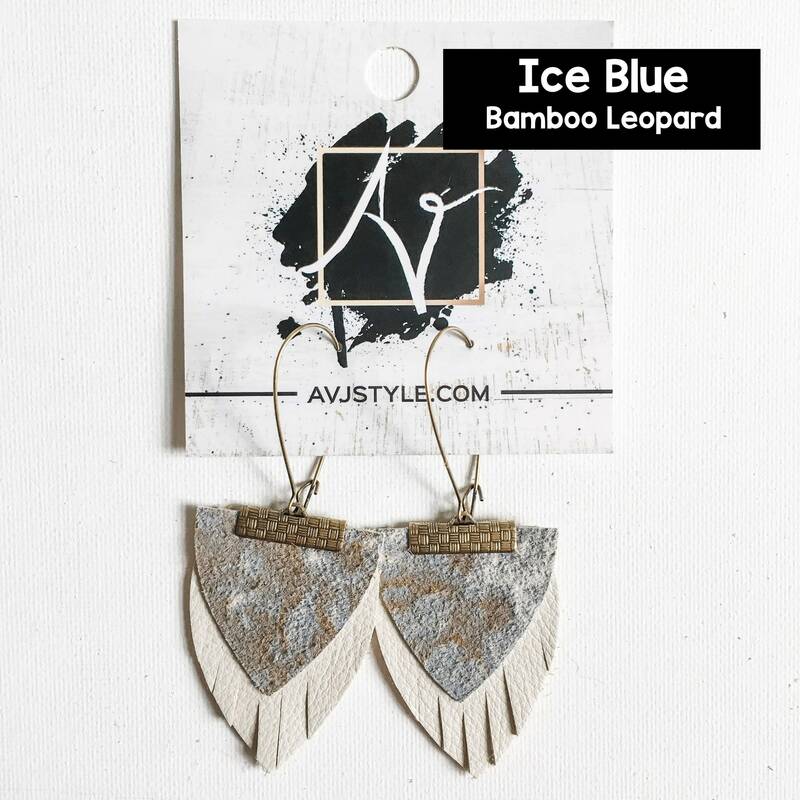 Looking for the perfect pair of sophisticated yet boho casual earrings? Look no further! Add these to any outfit to instantly give it a touch of class, sophistication and polish. Our Newport Beach Collection earrings are so lightweight, flexible and comfortable you won't even remember you are wearing them. Who says comfort and fashion can't go hand in hand? Each piece of our jewelry comes beautifully packaged and ready for gifting. 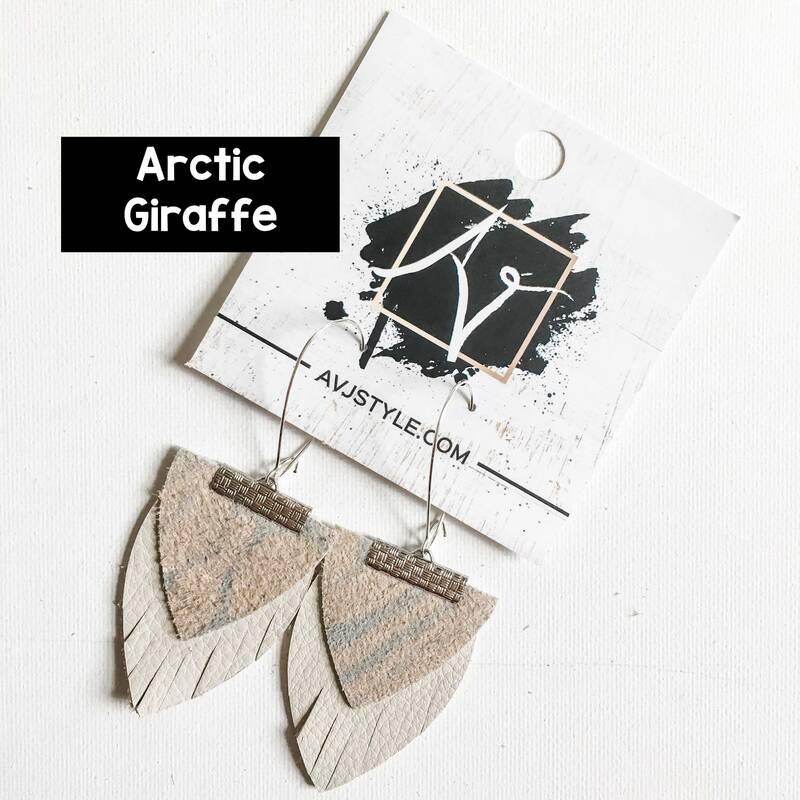 Our earrings make great birthday gifts, valentine's gifts, Mother’s Day, anniversary gifts, wedding & bridal gifts, graduation gifts, teacher gifts, best friend gifts, Christmas gifts, and many more! - Ear Wires: Antique Brass plated kidney-shaped ear wires. 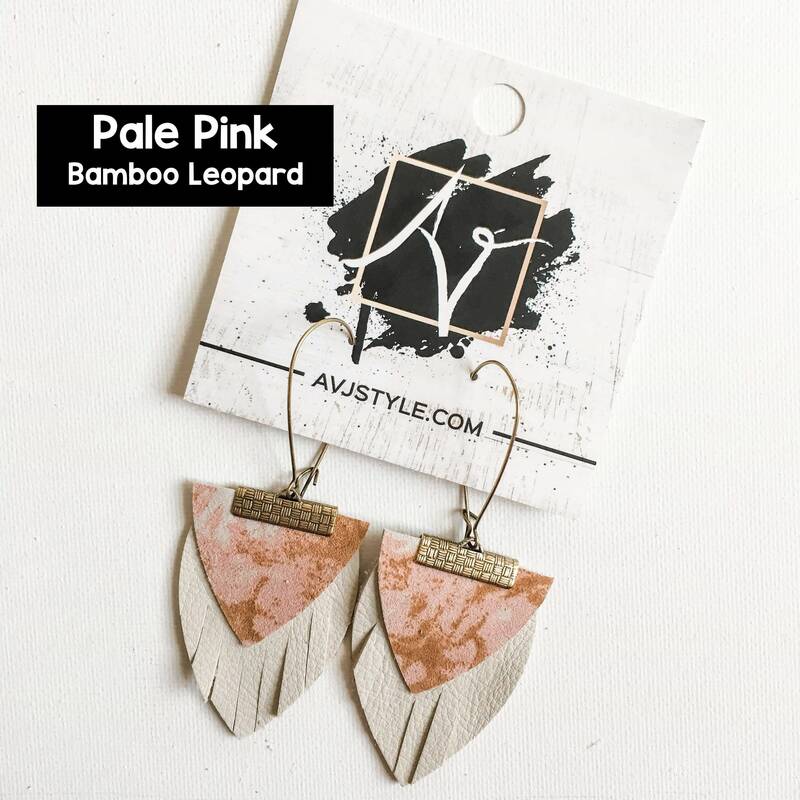 - Colors: Geometric Giraffe, Arctic Giraffe, Jungle Giraffe, Safari Giraffe, Hot Pink Bamboo Leopard, Pale Pink Bamboo Leopard, Ice Blue Bamboo Leopard, Salmon Bamboo Leopard, & Metallic Silver Bamboo Leopard. 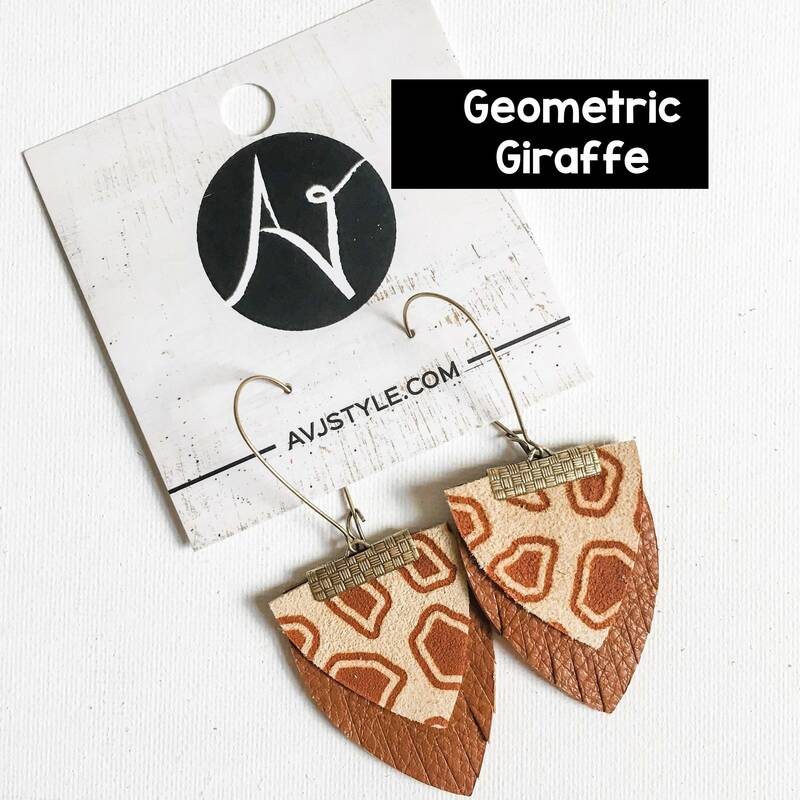 *All measurements are approximate and are taken from the top of the leather piece to the bottom tip of the earring. Ear wires add additional drop length, depending on the location of the individual ear piercing. **Leather is a natural product and each hide contains markings, variations in thickness, etc. 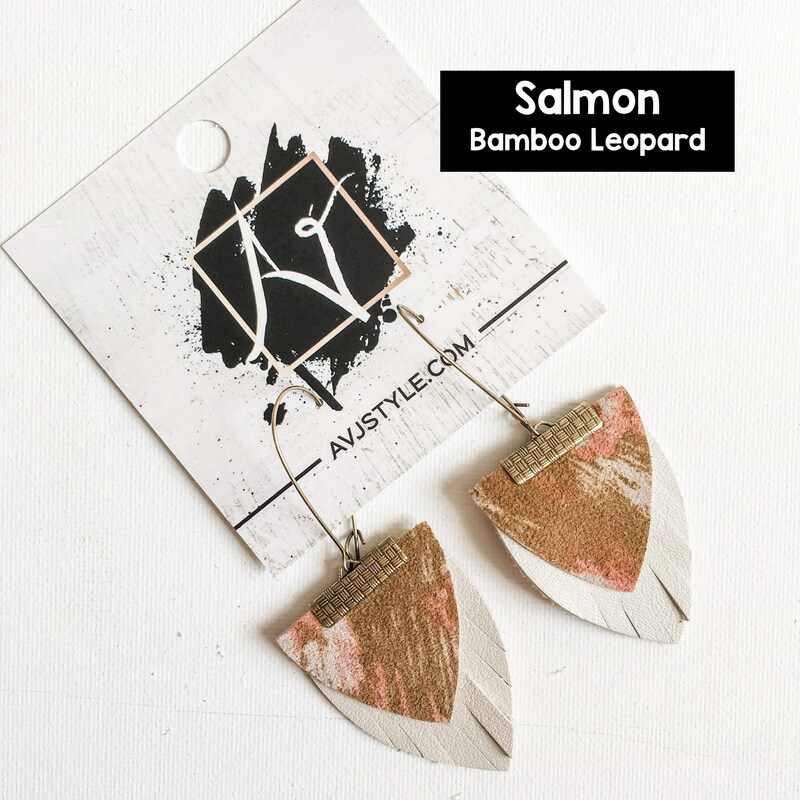 Each piece of leather jewelry will have slight variations, making it one of a kind. Please send me a personal message regarding wholesale prices and availability. 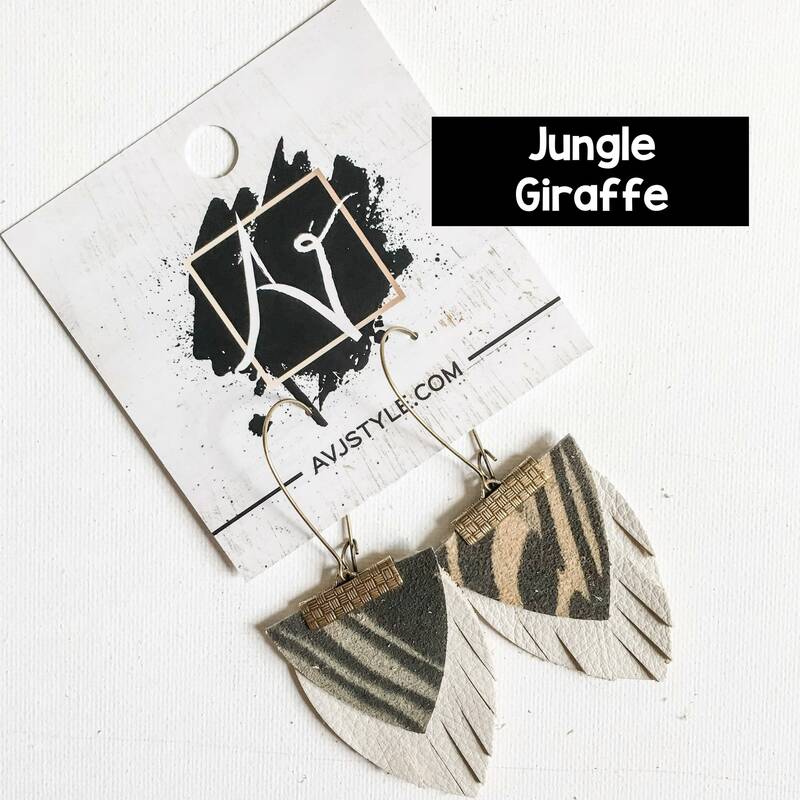 Not all styles and colors are available for wholesale. 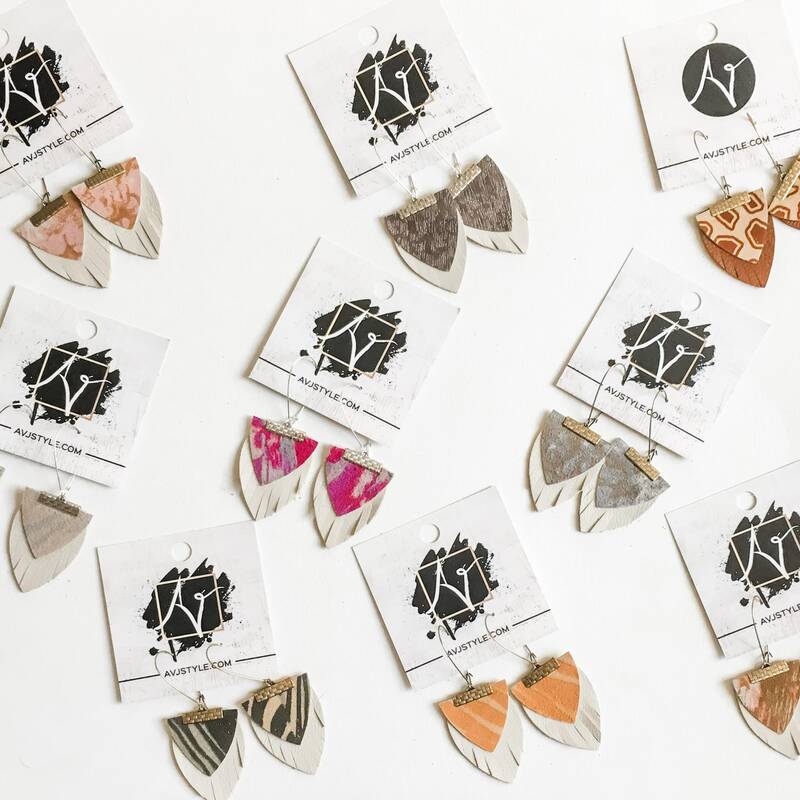 To keep your handmade leather earrings and accessories in great condition it is best to hang them up or lay them flat for storage. Most products can be wiped clean with a damp cloth but be careful because water can discolor some lighter leathers. 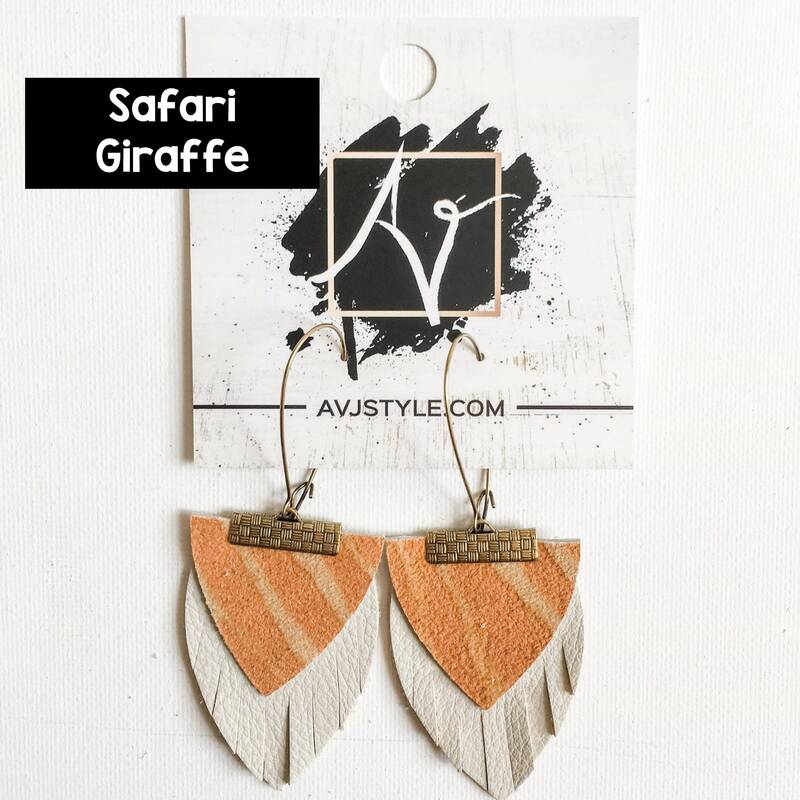 The suede earrings can also be discolored with water so care should be taken. For most cleaning needs, a slightly damp Magic Eraser will be sufficient- even on suede. 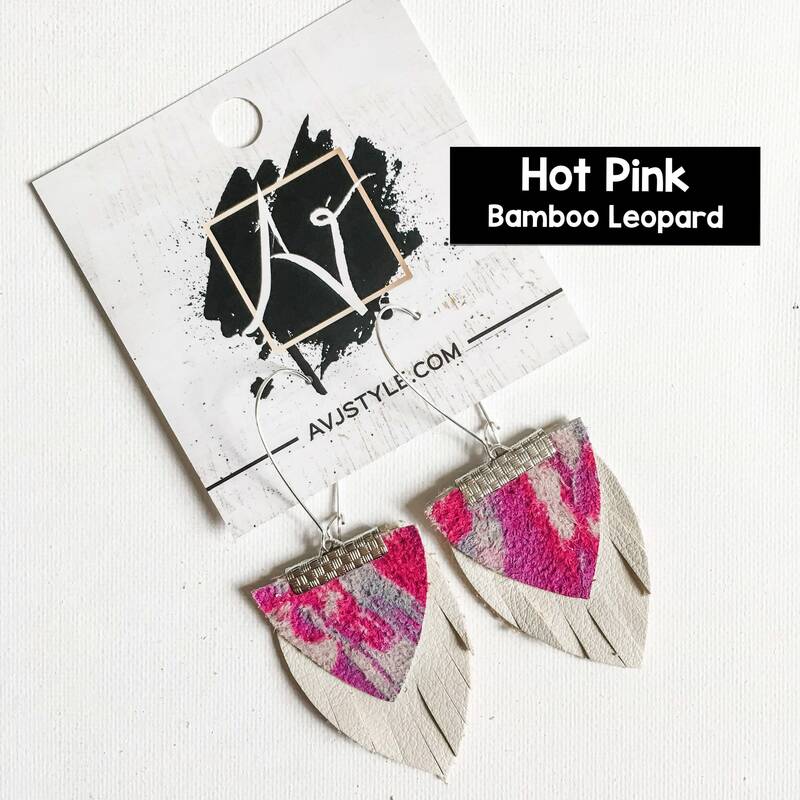 If an earring gets bent, it can be flattened with a barely warm iron by covering the earring with a cloth or towel and lightly steaming the leather part of the earring (avoiding the hooks) to flatten it. Each country has its own import regulations based on the value and type of item you are purchasing. These thresholds vary enormously and can add from 5% to 20% of the value of the item you are purchasing. It is the purchaser who is responsible for paying these taxes and duties. You would normally pay these taxes on imported items you buy in a local store, but these will have been factored into the price already. In this case, you may pay the VAT directly to the Customs Office or at the local post office when you collect your item. In some countries, "handling fees" are charged by your local postal service.